A statue of a woman will be installed in Reynolds Club in early 2017, the students in charge of the project told WBEZ Chicago. The bronze bust of Georgiana Simpson will be the first statue on campus to solely feature a woman. The only existing statue that includes a woman is the sculpture of Jules and Gwen Knapp in front of the Knapp Center for Biomedical Discovery. Simpson was the first black woman to receive a Ph.D. from the University of Chicago and the second black woman to earn the honor in the United States. In March, Monumental Women, founded by third-years Asya Akca and Shae Omonijo, received $9,500 from the Uncommon Fund to create the statue. “I think it’s very significant to have Dr. Georgiana Simpson’s bust in that building to symbolize not only the different triumphs, but also to have a more unifying factor that Georgiana Simpson’s history is as important as the other alumni that we honor,” Akca told WBEZ. Simpson earned an A.B. in German language and literature at the University in 1911. After teaching in Washington, D.C. at M Street High School and later Dunbar High School, she returned to the University and received a Ph.D. in German philology from the University in 1921. 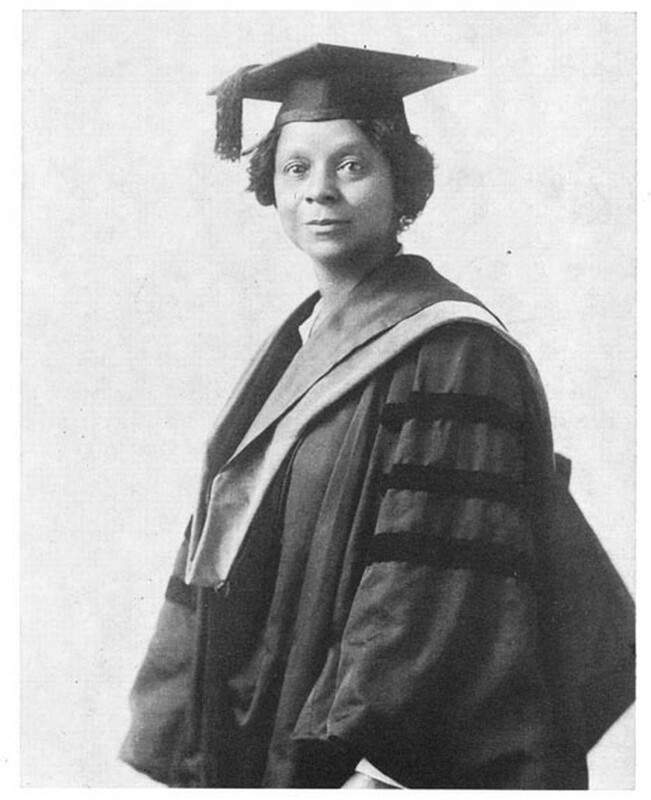 She was one of the first African American women to earn a Ph.D. in the U.S.